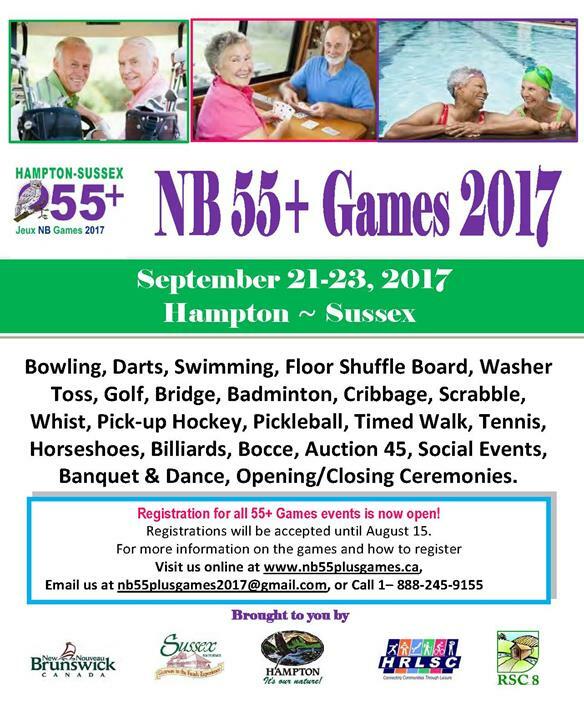 The NB 55+ Games is being jointly hosted by the Town of Hampton, Town of Sussex, and the Hampton Regional Leisure Services Committee (Regional Service Commission 8) this September 21-23. Registration is now open! This provincial event is open to any New Brunswick resident 55 years of age and older. Help spread the word the word on this opportunity by sharing news with local seniors clubs and posting the games event poster in your community. Deadline to register is August 15! 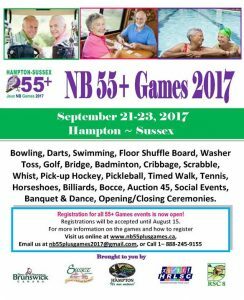 For more details on the games and how to register visit us online at www.nb55plusgames.ca or by calling 1-888-245-9155.